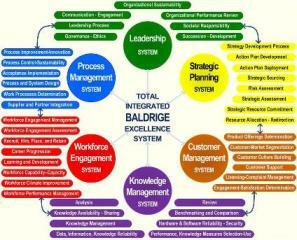 The Baldrige Award which was created by President Reagan to be a world-class business excellence award to improve America’s competitiveness. The bad news is that the graphic below shows “Zero Participation” after strong initial participation. Baldrige-based business excellence awards are also declining rapidly internationally based on my work with more than 30 national awards in the past three years. EFQM is now the clear leader of the majority of nations. There is no place like Dubai . 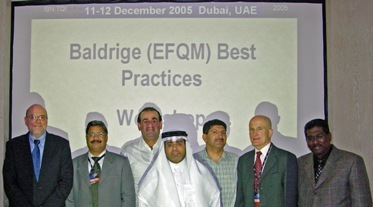 . .
My first ties to Dubai include conduction a joint EFQM and Baldrige Best Practice Process Models Seminar. The interest of the participants from Saudi Arabia, Qatar, Kuwait, and Bahrain led to more than 20 enjoyable consulting visits to the Middle East. The photo below was taken at that eventful seminar. 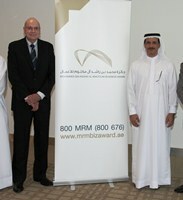 Dr. James Harrington and Paul Steel at offices of Harrington Middle East in Dubai - part of the Bin Zayed Group. (Click to see historic photo of us after our meeting with the Leader and Cleric of Iran's High Committee of the Iran Supreme Council). 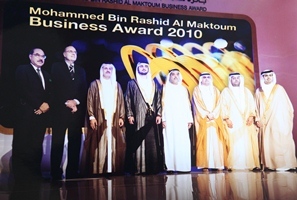 I have made 24 work visits to the Middle East since early 2006 and it has become a second home for me since first working in Bahrain in 1999. SAUDI ARABIA: Paul Steel (third from right) with Baldrige Site Visit Team in Saudi National Attire after 'Achieving World-Class Excellence' presentation, Al Khobar, Saudi Arabia.